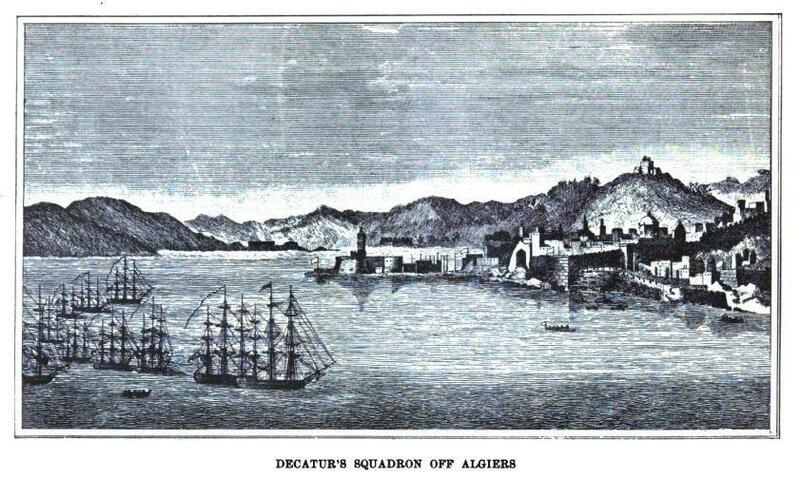 Final Disposition, consequent to the signing of a treaty with the Dey of Algiers, Commodore Decatur chose Epervier, LT. John T. Shubrick in command, to bear a copy of the treaty, prisoners and soldiers returning to the United States and some captured flags. She sailed through the Straits of Gibraltar on 14 July 1815 and was never heard from again. 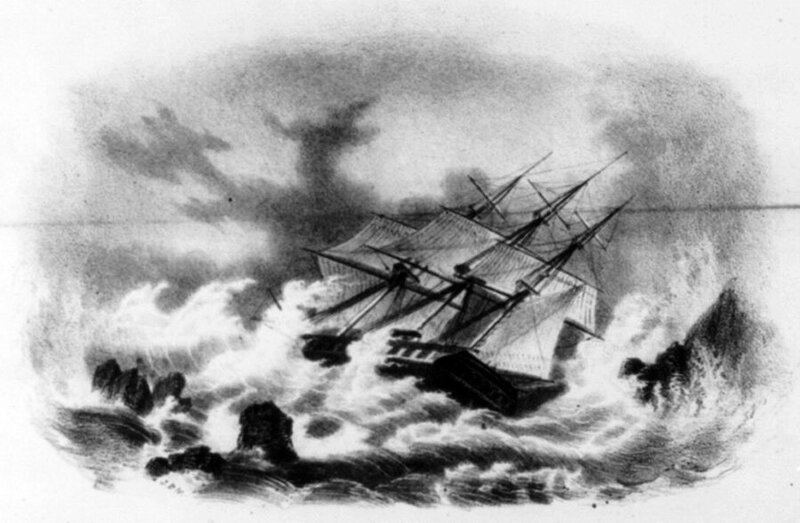 She may have encountered a hurricane reported in the Atlantic on 9 August 1815. She remains today one of the fascinating mysteries in the annals of the sea. 89k USS Epervier in distress. 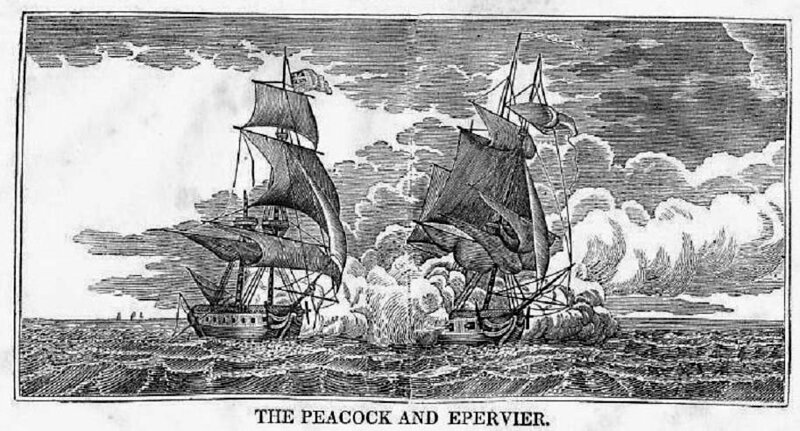 Epervier is shown smashing up on rocks on her return trip from Algiers with prisoners and soldiers from the United States war with Algiers in 1815. She may have encountered a hurricane reported in the Atlantic on 9 August 1815. In all, she was carrying 132 sailors and 2 marines. The Print shows a music sheet cover entitled The lost ship - a ballad / J.B.N. ; John Bufford's, Lith. Boston: Oliver Ditson & Co., 277 Washington St., circa 1859.